Catit is a cat care brand produced by a pet care company called Hagen. 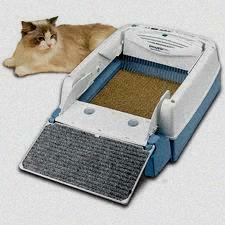 Catit produces several litter box models. These include traditional covered litter boxes that feature a plastic door and a built-in odor concealing carbon filter, as well as the SmartSift, a self-cleaning, non-mechanized litter box. Types of Catit pans There are a few different types of Catit litter boxes, each designed with different lifestyles and needs in mind. The SmartSift has a lever on the side of the box, which rotates the litter pan on the inside. The pan comes with a sifter at one side, which dumps waste into a smaller pan below while keeping clean litter in the main pan. While the Catit litter box isn’t completely self-operating, most cat owners will only need to sift the box once a day, and the waste pan only needs to be emptied once a week or so, depending on the number of cats using it. The Smartsift also has the advantage of being completely free of cords and other electronic mechanisms, and it is relatively affordable compared with other self-cleaning litter boxes. 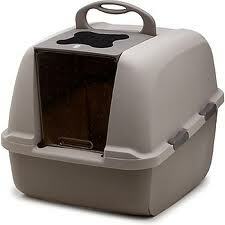 Catit also makes standard litter boxes, which are equipped with large covers and a plastic flap on the door. Variations of the standard boxes include a jumbo box and a box with a built-in “odo-trap” odor trapping cartridge available. Specifications and Accesories The SmartSift and standard boxes are both fairly large, with the standard pans measuring 22 (L) by 18 (H) by 15 (W) inches, and 17 (W) inches for the jumbo box. The SmartSift measures 25 (L) by 19 (W) by 25 (H). The standard pans are all light grey in color, but the carbon filter holder on top of the pan comes in different colors and patterns. Customers can order replacement carbon filters, liners, and rubber litter mats separately. • Product is affordable. The standard boxes cost under 30 dollars, and the SmartSift ranges from around 70 to 90 dollars. 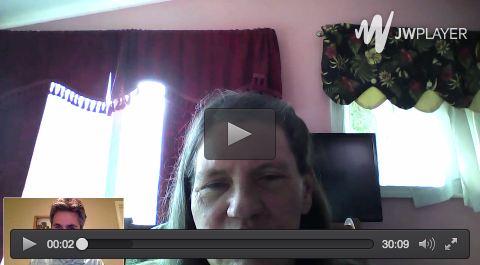 Although the website promises easy use, Catit litter box reviews have been mixed. On Amazon, out of 34 customer reviews, 10 reviews were very good. Positive Catit litter box reviews for the SmartSift focused on the product’s ease of use and low mess, while negative reviews cited bulkiness, difficult assembly, difficult cleaning, and mediocre odor control. One reviewer wrote, “somehow, every time a cat climbed in, the thing would unlock and flip the pan backward (cat and all). I tried over and over to fix it. After a few harrowing experiences, the cats were so terrified of being trapped inside it, they started going on the floor.” Another reviewer noted that “it doesn’t trap odors like our old litter box did. Our old litter box was just an ordinary covered box. This litter box reeked after just one time our cats went in it. Secondly, sifting this thing isn’t as easy as it looks. We bought one of the best clumping litter on the market (Fresh Step) and it still would stick to the sifter.” Another frequent complaint was that the waste litter would often stick to the sifter and need to be scraped off. Based on these reviews, the SmartSift works well for some people, but it doesn’t live up to expectations, and cat owners should be prepared to deal with odors and unpleasant cleaning. Based on Catit litter box reviews on Amazon, the SmartSift is an affordable product that works well for people who are willing to put in some extra work with assembly, odor control and cleaning, and the standard litter boxes are a good option for people looking for a high-quality traditional litter box. Don’t forget about adding a piece of litter box furniture for your feline friends.